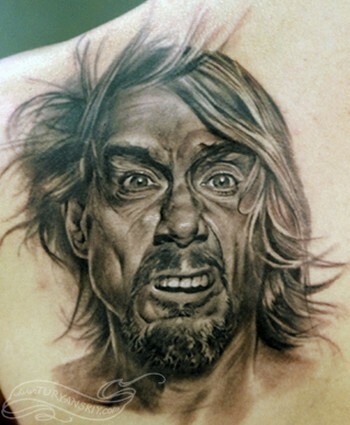 Comments: Black and gray realistic Iggy Pop portrait tattoo. About 6 hours. 2007.